Imran Abbas is not just a good looking man, he’s a versatile artist who can slay the ramp because he’s a former model, knows how to own the camera because he’s one fine actor, moreover, he can also sing – which leads us to wonder what other hidden talents does he possess. And over the years we’ve also witnessed Imran Abbas’s evolution as a fashion icon who looks like a star in whatever he wears; whether its a traditional shalwar kurta look for a mehdni, or suits up for an award show, the guy knows how to pull our hearts strings. So, here are the 5 times when we couldn’t keep our eyes off Imran Abbas. 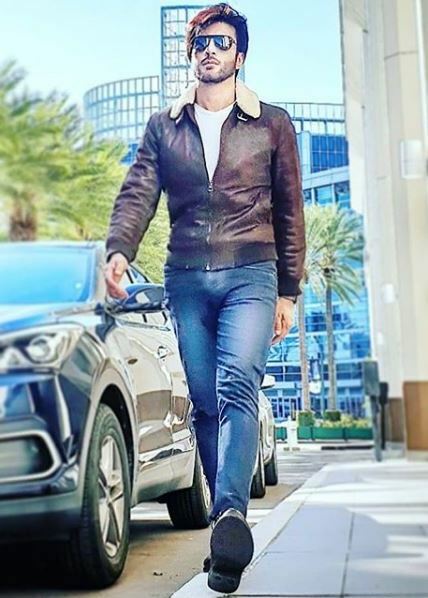 Winter is definitely here and Imran Abbas was giving us cool vibes in this brown leather jacket and washed out jeans on a trip abroad. Tip 101 while you’re traveling!